As a colocation provider, High Touch can host your business’s servers inside of our secure Dallas Data Center. Our knowledgeable professionals expertly monitor and maintain our facility, providing dependable service for your business’s mission critical servers. To accommodate any sized business, High Touch offers flexible cabinet rental options, ranging from one rack unit (U) to full cabinets. 1U is equal to 1.75 inches of vertical cabinet space within a 42U cabinet. Some colocation services force you to pay for a whole or half cabinet, even if your business only needs 2U. With High Touch, you can choose how much cabinet space you need to rent, without inefficient full or half-cabinet requirements. Power. Our colocation services include redundant power, so you’re protected in case of a power supply failure. High Touch offers alternate power options, including 208VAC, for an additional fee. Contact us to learn about our advanced power supply options. Bandwidth. Only pay for the bandwidth you need. High Touch allows you to bring your own bandwidth, with restrictions. If requested, we can also provide fixed or burstable bandwidth. Security. High Touch’s colocation services operate out of a secure, SOC 2 compliant facility. As experts in security solutions, you can trust High Touch to keep your servers and data safe. We restrict access to our Dallas Data Center with photo identification, electronic keycard software, biometric scanners, and surveillance. Temperature control. 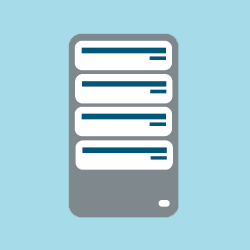 Servers require an accurate, temperature-controlled environment to prevent damage, which can be expensive and time consuming. By employing High Touch’s colocation services, we monitor the temperature for you. Scalable. High Touch delivers partial and full-cabinet services, so you can easily rent more space as your business grows. When you choose High Touch for your colocation services, you only pay for the space, bandwidth, and power supply options your business needs. If you’re unsure of which colocation features you need, our knowledgeable experts can help you determine the most efficient service. Full cabinet – $999 per month. Rent a full cabinet with 110VAC redundant power. Partial cabinet – starting at $99 per month. Only pay for the space and features you need. High Touch’s partial cabinet pricing is a flexible rental option for companies that need as little as 1U of cabinet space. Partial cabinet rentals include 110VAC redundant power and 1 Mbps. For an additional fee, High Touch offers advanced bandwidth and power options for full and partial cabinets. In addition to colocation, High Touch provides supplemental IT solutions, including Remote IT Management, Hosted Solutions, and Data Backup and Recovery.